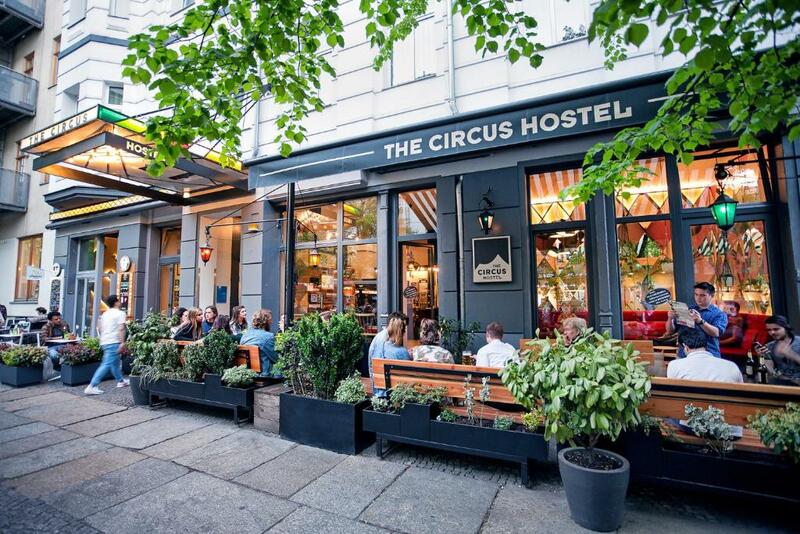 Lock in a great price for The Circus Hostel – rated 9 by recent guests! I like the location of the hostel. It is fairly near to the city center. Besides that breakfast and its price is good. Also, mostly, hostel room seems to be cleaned as well. And, you can find usb phone chargers and mini-lamp inside of your bed. perfect location nestled in a bustling part of the city with everything you could ever need just steps outside the door—including a subway station for the very easy & efficient public transportation system. helpful & friendly staff, clean lovely rooms with a smidge of privacy created by the little huts over the top part of the bed. +SUPER Nice/cool stuff !!! Which is very important +Comfortable check out at 12pm (!!) + blunkett are fully covered . +rooms are big . +free drink in the bar . This hostel was my favorite that I have ever stayed in. The breakfast was absolutely incredible and a great value for only 5 euro. I met one of my new best friends while staying here, and we had a great time hanging out at the hostel bar downstairs. 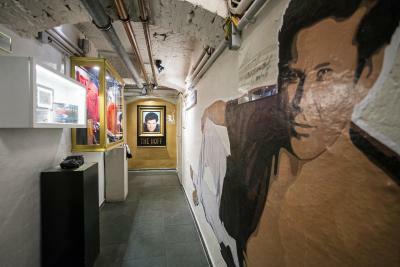 Check out the basement where the mural is near the bar... you won't be disappointed by what you discover! The best hostel I ever been. Extremely clean and comfortable bed. I loved everything. The bed is too comfty and the staff are cool and helpful when we arrived we faced a problem with the reservation but the staff arrange it and orderd us for a free beer and a free breakfast , the location is too good also near the u and the m stations. The staff was friendly and helpful. The cafe, bar, and reception area was cozy, warm and welcoming. The beds were comfortable and kept us warm through the December night. The breakfast was a DEAL for 5 Euros and a good selection. They even invited us to a 3 course Christmas Dinner hosted by one of the super friendly owners who explained the native German feast and all for 10 euros. Next to all forms of public transportation. 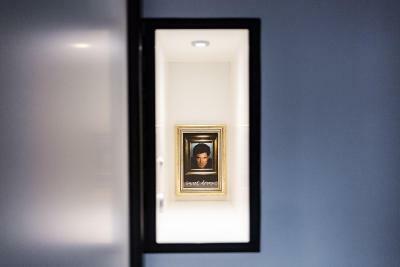 Also, don't forget to visit the shrine to "The Hoff" near the bar area. Hostel has a nice cafe and a bar in the first floor. Staff is very nice and friendly. Lockers for valuables are also convenient. Very comfortable and cool vibe. Beds had little nooks and you could reach the locker from the top bunk which was very handy. Location was very central and good. 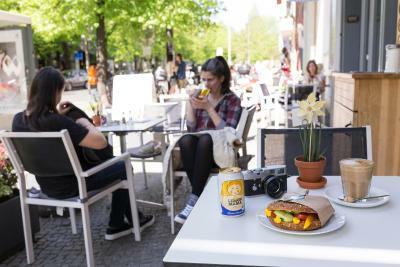 In the center of Berlin, this trendy hostel features bike rental facilities, free Wi-Fi, and rental iPads and laptops. 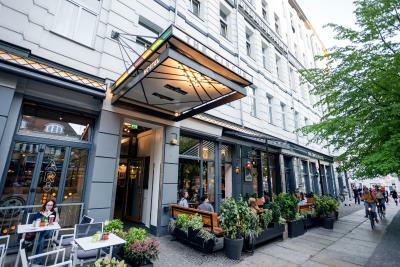 It is about 150 feet from the Rosenthalerplatz U-Bahn (subway) Station. 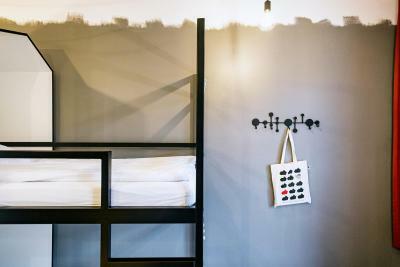 The Circus Hostel has private rooms as well as shared dormitory rooms, all brightly decorated in contemporary style. All rooms have safes and access to shared bathroom facilities. 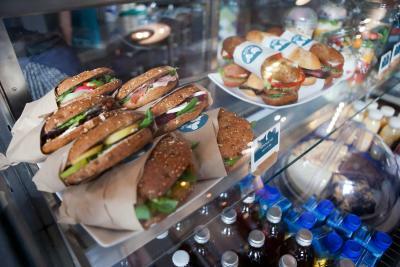 A breakfast buffet can be booked at the hostel. Guests can relax in the lounge area, which includes books. Guests can also rent iPads from the front desk. 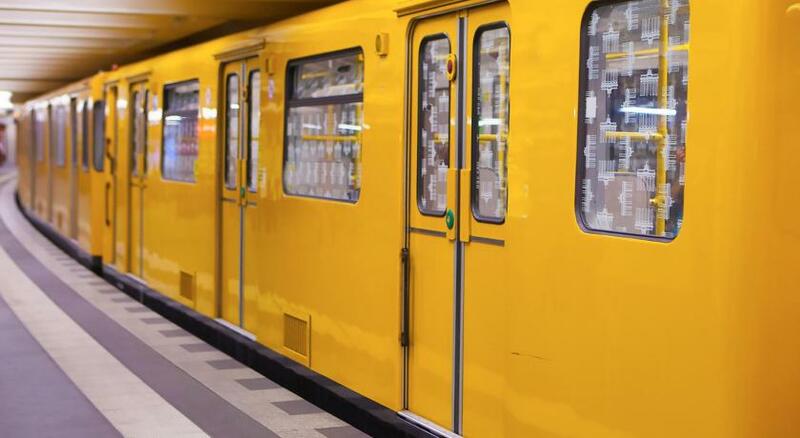 From Rosenthalerplatz U-Bahn, guests can take the metro to both Alexanderplatz Square and the Brandenburg Gate in less than 15 minutes. 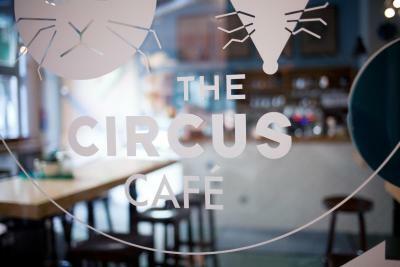 The Circus Hostel's Katz & Maus cafe and bar, located on two floors, serves warm meals and drinks. 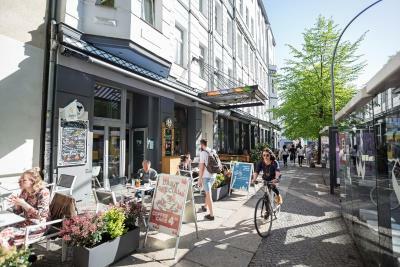 The Berlin Central Train Station is 1.5 miles from The Circus Hostel. Shuttle services can be arranged upon request. When would you like to stay at The Circus Hostel? Brightly decorated room with a safe and access to shared bathroom facilities. Brightly decorated room with safes and access to shared bathroom facilities. Bed in a shared dormitory room with safes and access to shared bathroom facilities. House Rules The Circus Hostel takes special requests – add in the next step! The Circus Hostel accepts these cards and reserves the right to temporarily hold an amount prior to arrival. The padlocks for the lockers have to be big ones, so I personally was not prepared for this, expecting a normal (small) size padlock would work. The staff was very friendly, the place very nice, and the cafe serves good coffee! just like in the pictures and the location is perfect. The location was amazing, close to restaurants and bars. Stuff so friendly and helpful. 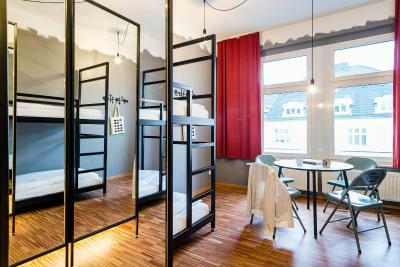 Changed my opinion about hostels. The beds and rooms are very comfortable. The lockers are big and spacious. The bathrooms are seperate from the room which I like. The bedroom is well designed in details that consider much about user. The big problem is NOISE by two reasons: 1 - During my stay of 2 days, there was to much noise until midnight caused by many teenagers hosted, they walk at corridor talking and laughing very loud in the night, in the second night I had to go outside of my room and ask for a group of 8 teenagers that was talking and laughing in front of the door room. 2 - The doors!! This I think is the big problem because the doors of rooms are not properly for hotel this a kind of door to be used at offices, shoppings etc...it´s a heavy door that closes alone making a strong noise like someone was beaten it, in the morning was terrible because the people start to wake up and then every time until 10am some door are being beaten. Staff could be a bit more welcoming, but they definitely weren’t overly rude. One of the best hostels I’ve stayed in since travelling Europe! Comfortable, private and clean bunk beds. Dorm rooms are spacious and light. Would stay again. The beer at the bar was not the best one, but u can go across the street and get proper beer bottles that u can actually drink inside the hostel. It’s clean, it’s really well-located, beds and pillows are super comfortable, common areas are cozy and nice to spend time at in the evening time. We even had a balcony in our 8-people room. Guys at the reception are super helpful with any question! Thank you for making our stay in Berlin so nice! And breakfasts are also very good! the room was not silent as I wished. I could hear people passing in the corridor for the whole night (went to sleep after midnight) and was waking up the whole night. I think something should be done about this - with the door or sth like that. the location is good and close to metro, the staff is very nice and helpful. the place is very clean! I think there might be more beverages while having breakfast. After taking one beverage, if you need one more glass of any, you should pay almost half of breakfast price more. Also I would like to find my bed tidied up but it was a messy. May be a little bit noisy, because of tram. So, do not forget your earplugs. Besides, take soap and shampoo, because there is no any in the shower. Very nice hostel, friendly staff, really good region with plenty of cafes and restaurents for every budget. Very clean and comfortable rooms. Very good cafe in the hostel itself. For sure you need to try the local beer in the bar at the basement. It is something special!